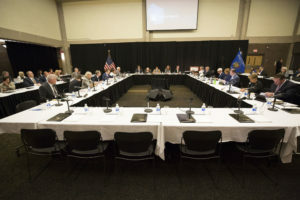 MILWAUKEE, Wis. – With college affordability a top priority, the University of Wisconsin System Board of Regents approved a UW System proposal recommending increased state funding for financial aid at its meeting Friday at UW-Milwaukee. The UW System is requesting an increase of $3.25 million in 2018-19 for the Wisconsin Grant-University of Wisconsin (UW) program, which is the state’s largest financial aid program for students attending UW institutions. This would return the average award to the 2009-10 level, providing a biennial increase of $6.50 million. The program is administered by the state’s Higher Educational Aids Board (HEAB). One in four resident UW System undergraduates – more than 30,000 students – received a Wisconsin Grant in 2016-17. The average grant was $2,022. “There is legitimate concern about the rising levels of student debt. The amount of state and federal support a student receives plays a significant part in keeping the net cost of college down. 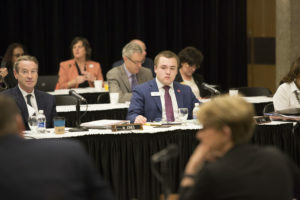 It is incumbent on us to advocate for the support necessary for our students,” said Regent President John Robert Behling. The Regent-approved financial aid request will now be forwarded to HEAB for inclusion in that agency’s biennial budget submission to the Department of Administration. The Regents also voted unanimously to approve a $6.35 billion annual budget for 2018-19. “At first I was uneasy about increases in segregated fees and room and board,” said Student Regent Ryan Ring. He went on to note, however, that he recognized the segregated fee increases are largely attributed to student-initiated initiatives as well as a mandated pay plan, and room and board changes will ultimately benefit students. He supported the proposed budget. “This budget is the best I’ve seen since I’ve been on the Board. It drives high quality affordable education and I’m proud to support it,” said Regent Bryan Steil. In accordance with the state’s biennial budget, the university’s annual operating budget includes a freeze on tuition for resident undergraduates at 2012-13 levels. Non-resident, international and graduate tuition increases approved by the Board in December 2016 will produce $34.7 million in anticipated new revenue. Total allocable and non-allocable segregated fees will see an average $33 increase (2.6%) at four-year institutions. Much of that increase is due to major projects previously approved by the Board of Regents and the State as well as student-supported projects. Room and board rates at the four-year institutions will increase by an average $118 (1.6%) with those increases primarily due to new and renovated residence halls, facility maintenance projects, and rising food costs. indication of the broad commitment and support for the UW System. 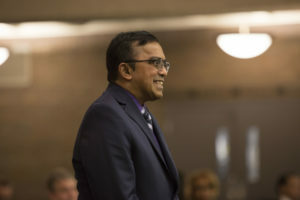 The Regents honored the 26th annual winners of its Teaching Excellence Awards, recognizing outstanding achievements in teaching. 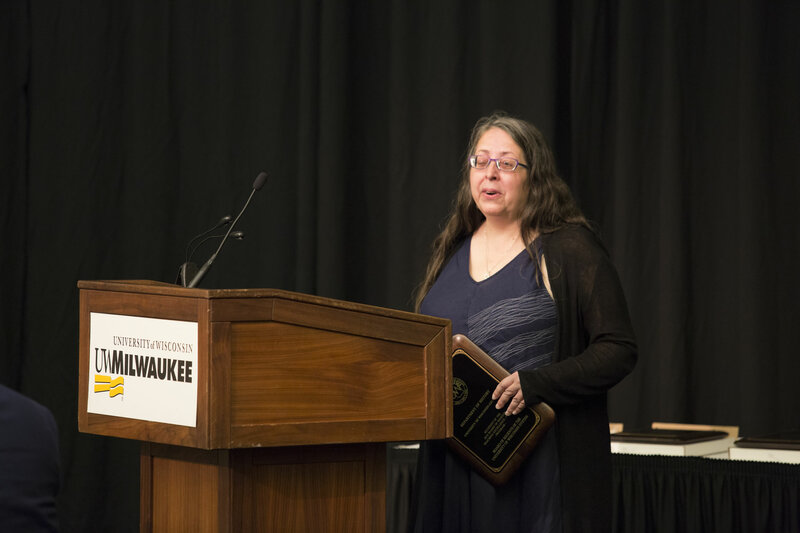 They are the UW System’s highest recognition for members of its faculty and academic staff. Martina Lindseth, Professor of German, Department of Languages, UW‑Eau Claire. Kirthi Premadasa, Associate Professor, Mathematics Department, UW-Baraboo/Sauk County, UW Colleges. 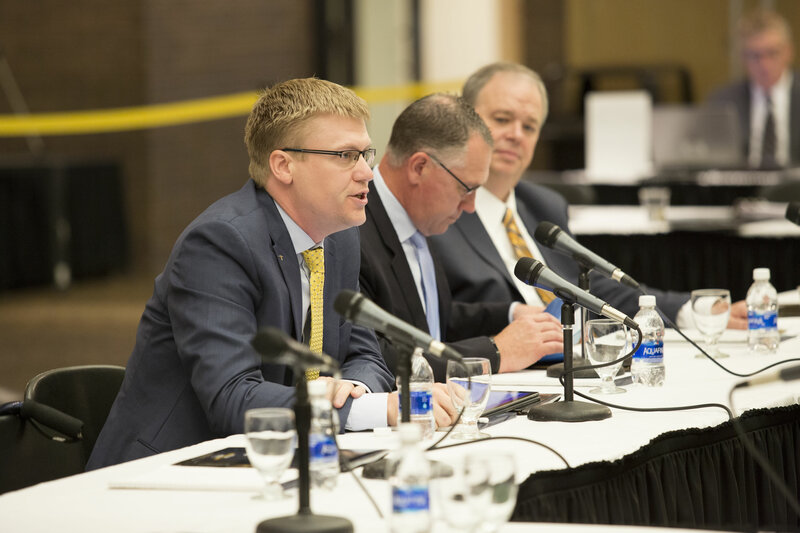 In his report to the Board, Regent President Behling emphasized the significant investment the State of Wisconsin makes in the UW System, noting that over the two years of the 2017-19 budget, the state will invest over $2.2 billion of taxpayer dollars, an increase of nearly $60 million. 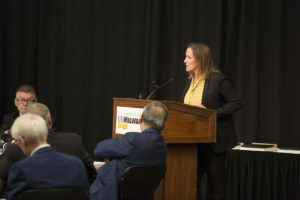 He also reiterated that the state made an increased investment on the personnel side, providing for the largest salary increase for UW employees in a decade. “It’s our job as a Board to ensure that funding is put to good use,” Behling said. Behling also reported that while public dollars are up, Chancellors are working to increase their gift and grants funds. Those funds are up nearly $100 million over last year, he said, a strong indication of the broad commitment and support for the UW System. President Cross updated Regents on recent interactions with colleagues nationwide, including a National Association of System Heads meeting and a National Summit on Dual-Mission Institutions in Higher Education. He also reported on recent meetings with shared governance groups in the UW System, saying his intent is to have thoughtful and deliberative discussions regarding the role and engagement of each unit at the System level. In his report on News from Around the UW System, President Cross told Regents that the UW-La Crosse College of Business Administration, with more than 2,000 undergraduates and a highly qualified instructional staff of 68, has just received an international seal of approval from a global accrediting body. See the full News Around the UW System video for June. President Cross also offer special recognition to Malcolm Brett, director of Wisconsin Public Media, as this year’s recipient of the Daniel K. Miller Station Leadership Award. 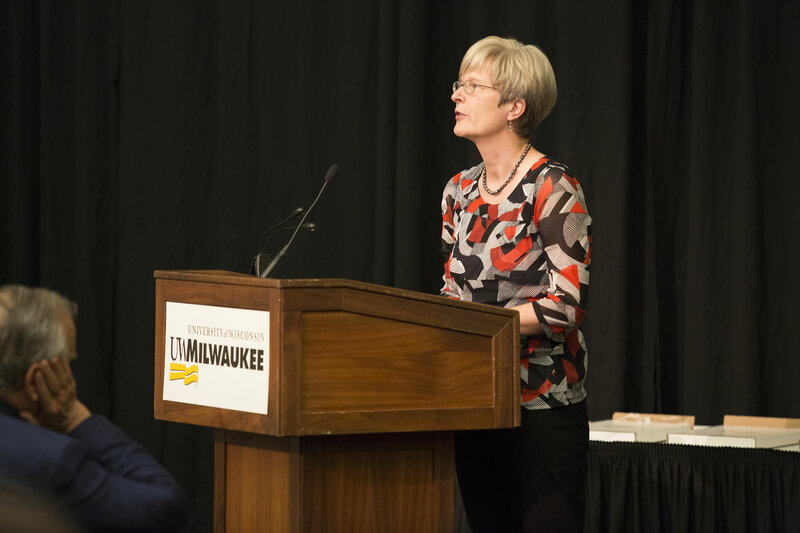 In his Faculty Spotlight feature, President Cross presented Dr. Karyn Frick, a neuroscience professor in the Psychology department at UW-Milwaukee, one of two R1 research institutions in Wisconsin, the highest rating for a research institution. UW-Milwaukee Athletic Director Amanda Braun provided an overview of academic, fiscal and compliance matters in the UWM athletics program. 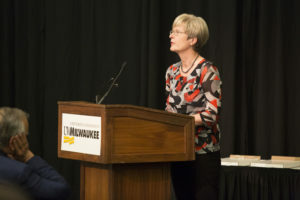 Given the elevated attention recently to Title IX-related issues, Braun noted that UWM provides Title IX training at the start of the year and regularly shares info at team meetings. The program continues to work on improving graduation rates and other measures of academic progress. President Behling introduced a new collaborative research agreement between Mayo Clinic Health Systems physicians and UW-Eau Claire. “The intent of the partnership is to attract the best and brightest students to the region, offer them significant opportunities to connect with Mayo Clinic Health System researchers and providers, and fast-track them into medical programs and jobs that will help retain talent in Wisconsin and strengthen the quality of care in western Wisconsin,” Behling said. UW-Eau Claire Chancellor Schmidt said he believes this partnership is the most important thing he will work on in his tenure at UW-Eau Claire. Board of Regent President John Behling and Vice President Drew Petersen were unanimously re-elected to their leadership positions for the 2018-2019 term. addressing loss of vision in patients suffering diabetic macular edema.